One adds a small spatula-tipful of potassium hexacyanoferrate(III) into a test tube and then approx. 1 ml of distilled water. 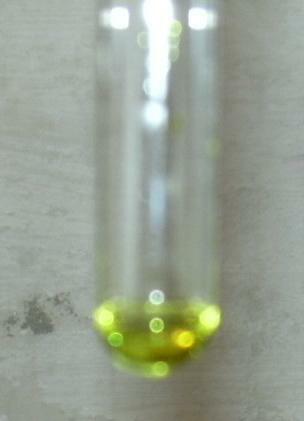 A yellow solution results. Add some drops of silver nitrate. 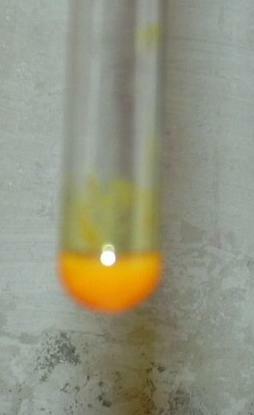 A red-orange deposit is precipitated. The solution is disposed of as silver waste, if this is not available, then as heavy metal waste. Silver hexacyanoferrate(III) is formed, which like many silver salts is insoluble and therefore precipitates.